White Beaded Halter Prom Evening Dress | Sung Boutique L.A. This dazzling floor-length halter evening gown features sparkling beads detail the sweetheart neckline. 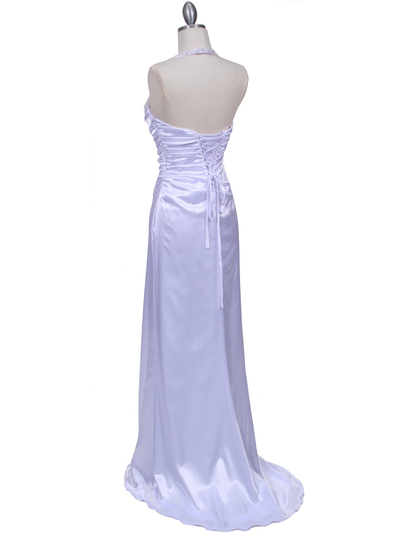 Pleated bodice with crisscross back straps ensure the perfect fit. Slight train finishes the elegant look.